I’ve always thought of the Chilean-Canadian Lopez as the Thinking Man’s Ottmar Liebert. Plays just as nicely, but compositionally there’s a little less repetition in the songs. 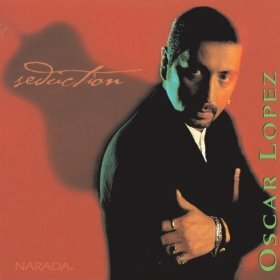 Liebert has all the Gold and Platinum and is rightly credited with helping create the Nouveau Flamenco genre (the title of his biggest album, in fact–sort of the way Quiet Storm music is named after a Smokey Robinson record) but if you know and love Ottmar already, moving on to Oscar is an essential step!